Imagine sitting at your computer with a dream of becoming an entrepreneur. Suddenly you realize that you are being offered to be a part of the “revolution” by supporting this new blockchain project. The project is raising funds through an ICO (Initial Coin Offering), and they really want you to be a part of it. They are offering a significant return on investment and many other benefits. Not exactly knowing what just happened you start to feel FOMO (Fear of Missing Out). You decide to invest in the hope that risk will pay off and that this is your big move into the entrepreneurship waters. From this point, there are two scenarios. The first scenario - ICO is finished, everything is going great, and one year later, you have pocketed a fantastic profit. The second scenario - ICO is finished, months are passing by, the project is constantly being delayed, and finally, it gets canceled. The price of the tokens goes to zero. All investors have lost everything. 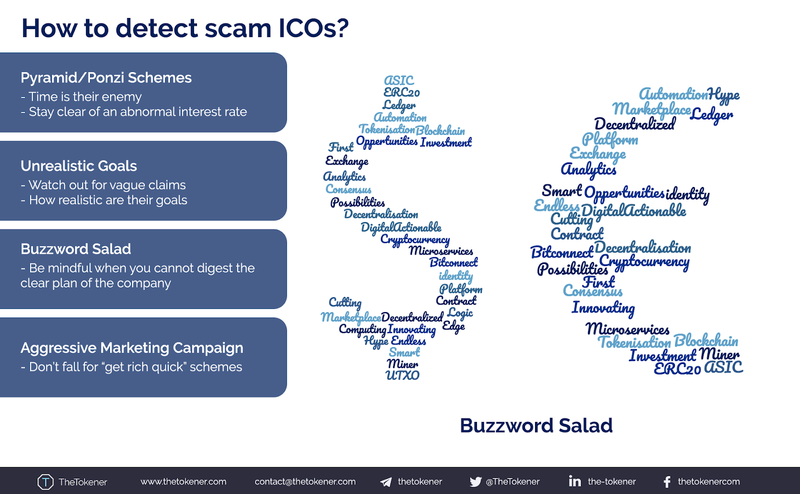 In order to make sure these investment decisions are not made by pure luck, we have decided to craft a guide for investing in the ICOs together with the chapter about the scams and how to spot one. Remember, knowledge is power, or in this case, something that will allow you to make informed decisions about your investments in the world full of great opportunities and great uncertainties as well. Cryptocurrencies are decentralized digital currencies designed to work as a means of exchange. They are called cryptocurrencies because they use cryptography in order to secure and verify transactions as well to control the creation of new units of a particular currency. With them, you can make transactions without middleman or central authority. Cryptocurrency transactions are stored and recorded in public, digital ledger called blockchain. The Blockchain is a new fast-growing technology which enables transparency in the decentralized networks, brings security to the online world and enables faster, easier and more affordable solutions compared to the existing infrastructure in the majority of industries. 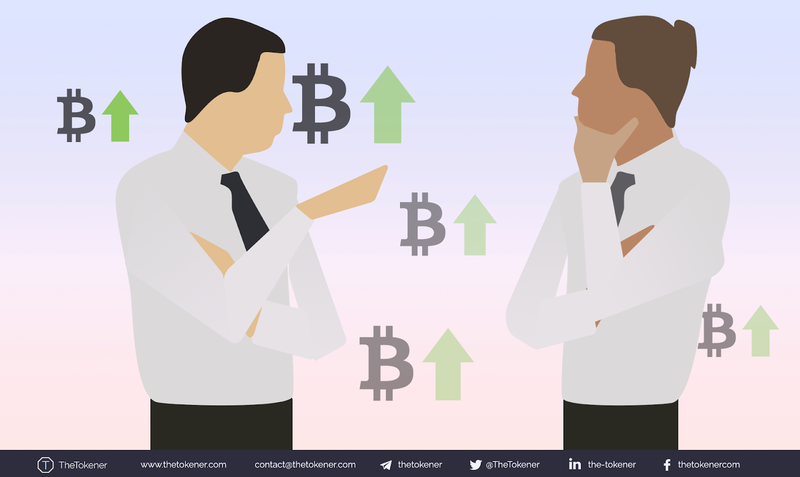 The rise of cryptocurrencies is almost synonymous with the rise of the infamous Bitcoin. Bitcoin is a digital currency which means that it uses cryptography and exists only electronically. It does not have a central authority or regulatory body and the value of the coins is determined by the simple supply and demand law. Bitcoin's whitepaper emerged in 2008 by the author with pseudonym Satoshi Nakamoto. First Bitcoin transaction happened in 2009, 2 pizzas were paid 10,000 Bitcoins. Considering the current price of Bitcoin, that was definitely most expensive pizza in the world. Since then a lot of things have changed. Today there are thousands of cryptocurrencies looking to find their place under the sun. Other notable cryptocurrencies are Ethereum, Ripple, Litecoin, Monero, and many others. Miners verify transactions on the blockchain; they are a sort of regulatory body for the cryptocurrency. In order to verify transactions, miners need to solve complex mathematical problems. They have nothing to do with the digital currency except validating the transaction. Miner is not a middleman. Miners make cryptocurrency legitimate and as a reward, they get some amount of newly generated coins. The amount depends on the specific cryptocurrency. This coin-generating procedure is standard for most cryptocurrencies, although there are some currencies with all coins pre-mined. The most important thing about blockchain transactions is that they cannot be reversed. That is why it is crucial to double check the transactions. A common misconception about these types of transactions is that they are anonymous. That is not exactly the case. They are pseudonymous, not anonymous. Blockchain addresses are random chains of around 30 characters which is a “pseudonymous part.” Most cryptocurrency exchanges require your identification for the registration form. When the user performs transactions with these exchanges, it is possible to track transaction back to the user. There are some cryptocurrencies that have exceptional technology in place to keep the users anonymous, but the exits from the network are also monitored. In order to keep transactions on the blockchain secure, cryptocurrencies use public key encryption (PKE). Cryptocurrency funds are locked in a personal wallet secured with a public key cryptography system. Every user gets their own unique public key and a private key. The public key is visible to everyone; it has to be in order to keep track of the transactions. The private key, as the name suggests, should be known only to you. You use your private key in order to complete transactions which are sent to your public key. Think of it like this: your public key is your unique lock, visible to everyone, while your private key is a key to that lock, visible only to you. Funds are sent to your public key while your private key is used to access your wallet where your coins are stored. Giving away or losing your private key potentially means losing your funds, so be careful when handling it. There are many things you can do with coins/tokens. They can be used as a means of transaction, as a stock or company share or as a way of transferring data. If the token is multifunctional, it will surely rise in its value. A great case study of the multifunctional value of the token is Ether. Fuel that runs Ethereum network is Ether, its token. This network can handle transactions and also handle transmission of data. This means Ethereum can provide web applications on the platform which are known as DApps. Another novelty that Ethereum brought us is the application of smart contracts. There are lines of code that act as ‘contracts' for whatever is being worked on. The smart contract will execute depending on whether the terms are met or not. This is another great application of Ethereum Blockchain network. You can see its real value in constructing awesome blockchain-based applications. Best tokens are the ones that constantly innovate. When established and trusted company announce innovations on the platform it is likely that the value of the token will go up. The constant innovation is the only way to survive in crowded cryptocurrency market. Outdated tokens can lose its value over the night. Being up to date with the market dynamics is essential for every aspiring crypto investor. Again, Ethereum is a great example here. The platform that constantly tries to reinvent itself. And this is one of the main reasons why their token Ether is firmly standing as one of the most valuable ones over a long period of time. Events in a crypto sphere are a good opportunity to present company’s team to the public. Also, it is a decent way of announcing news related to the project. All of this can raise awareness about the project inside the crypto community. This can lead to public gaining trust towards the company which results in token price growth. This is still fairly rare occurrence but it can have huge consequences. If a cryptocurrency can gain some mainstream media coverage it means that it can stand up from the bunch of others. Big companies can decide to implement blockchain technology which can result in a significant price jump. This happened when Toyota and Microsoft confirmed they are involved with Ethereum. 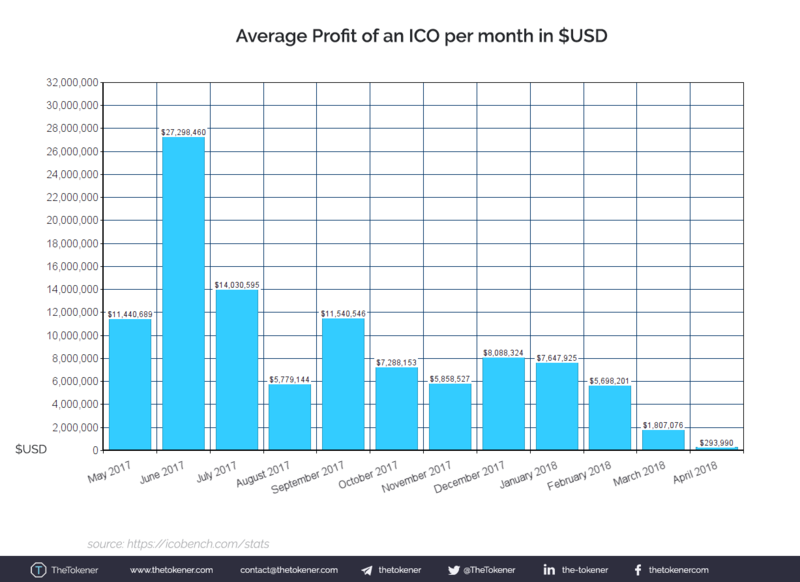 Initial Coin Offering (ICO) is a relatively new phenomenon in the cryptocurrency world that really took off in 2017. In short, ICO is a method of raising funds for the upcoming blockchain project. The company that announces ICO sells the tokens they have created in exchange for Bitcoin, Ether, or FIAT currencies. By analogy, it is possible to compare ICOs to Initial Public Offerings (IPOs) in which investors purchase the shares of the company. Instead of shares, investors of ICOs purchase newly created tokens hoping that they will gain in value in the future. It has become easier to structure and launch an ICO because of the technologies like ERC20 Token Standard which have made creating a new cryptocurrency asset fairly simple. This means that there are a lot of ICOs in the market and it is essential for investors to be able to differentiate the good ones from the bad ones. ICO market is still unregulated at this moment, which is both good and bad. It is good in the way that a lot of very ambitious projects can be launched and there is nothing to hold ideas back. The bad side of the lack of regulations reflects in the numerous ICO scams that are happening. How to detect scam ICOs? These are ones of the most common scams. It is not hard to reveal them. You will need to be very careful of the companies that guarantee you a huge return on investments. Be aware, Ponzi schemes might not look like scams in the beginning but time is their enemy, they can't hold a scheme for a very long time. Stay clear of an abnormal interest rate. Keep in mind that no one can give you 10% daily, or 100% monthly, that is simply not realistic. Does project make bold claims about their product? Are the claims backed up by vague and unclear paths of implementing? If so, watch out. Some ICOs share their goals of changing the internet, disrupting world banking system, ending poverty and so on. Ask yourself, how realistic is that? Unfortunately, a lot of these huge claims are backed up by one big nothing. It is always better to invest in the projects that are more realistic and have a development plan with could lead to some amazing results in 5 to 10 years from the ICO date. You probably read announcements that give a lot of promises without a clear way to implement them. It looks great when you first read it, but when you sit down and analyze it you will find empty promises and vague claims. Look for clear information about the project, exclude all the big words and just see what the plan is. If you cannot digest the clear plan of the company it is safe to assume that is filled with buzzword salad. This is a bad symptom of ICO’s legitimacy. This is a bad sign for an ICO. Some of them will use techniques like Fear Of Missing Out (FOMO) in order to lure you into their scam schemes. Great ICOs don’t need this sort of marketing. They let their project speak for themselves. Don’t fall for “get rich quick” schemes, they are rarely true. How to invest in a smart way? There are levels to the game of investment. We can’t promise you will become investment guru overnight but if you follow these simple rules you surely will not get scammed. And that is a good starting point. Do not be manipulated with marketing strategy, be firm and rational when investing. You will certainly feel like you are missing out on some ICOs, but keep in mind that impulsive decision cannot bring any good in crypto business. • Do not be greedy! This is extremely important; being greedy in crypto investing is a highway to hell. Keep in mind that a lot of ICO projects will fail, and some of them were never intended to succeed. Being responsible when making decisions will keep you from losing an ICO investment. • As a token holder, what do you gain? Some projects will claim that their token is an amazing revolutionizing project, but when you do your research you will find that actually, you gain nothing. On the other hand, there are some innovative projects where you will get so much for holding or using their token. It is crucial to patiently try to find those projects. 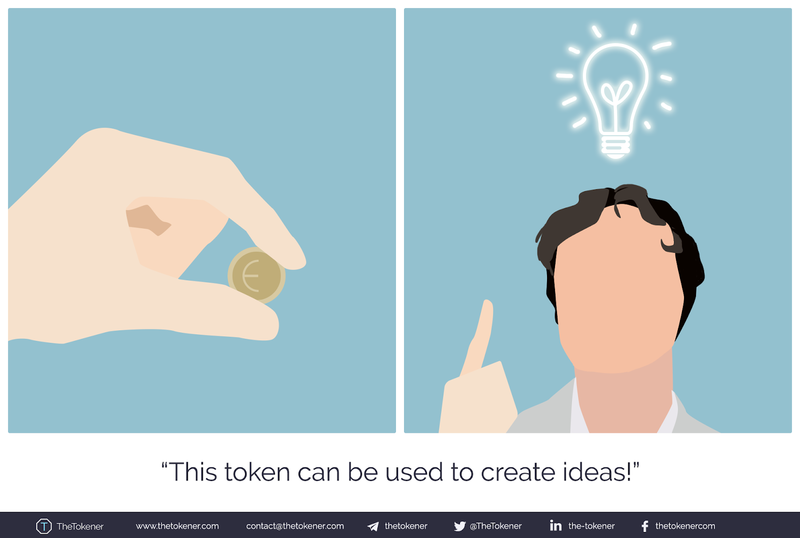 Is the token necessary, is it useful? Find out before investing. • The interest of others is not necessarily yours. Cryptocurrency industry is a young industry and it is very hard to find acclaimed experts in such a young field. Because of that, your own research should be the primary option. Some people may pose as an independent crypto analyst but there is so many paid content it is difficult to see past that. Always be extra cautious. Doing this is a great way of bringing a crowd of ICO marketers at your feet. Nobody wants that! 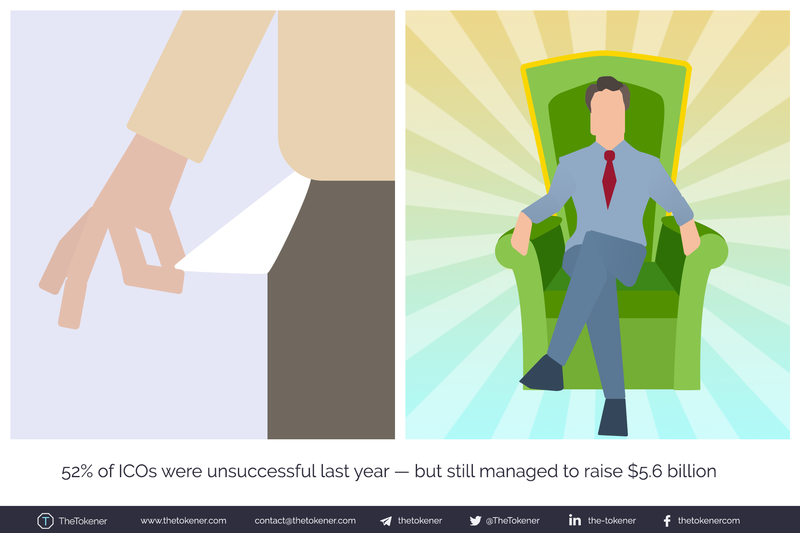 If you cannot independently differ good ICOs from the bad ones, ICO investing may be riskier. • Make sure you understand the project before investing. 1. Who is involved with the project? 3. When are implementations taking place? 4. Where will it lead us to? 5. Why is the project happening? When you answer these questions you may be able to decide whether you want to invest or not. • Invest only what you can afford to lose. Last but not least, the general rule of investment. People have invested their whole life savings into the bad project. Needless to say, please do not do that. There is nothing as important or promising to go all in. ICO investing is a great opportunity to grow your budget, but risk management is extremely important. This is the foundation of every ICO. The whitepaper is a single most important document you will have as an investor. Good ICO will showcase everything you need to know about the company, project, tokens, development plans, and usage of the token. Look carefully at the implementations of the project, if you do not clearly understand what the project is about you should probably stay away from it. Great whitepapers are the ones with clear explanation of the project, its value, and step-by-step implementation. They should contain valuable charts, calculations, simulations, specifications, etc. In the whitepaper, you should be able to find a roadmap which can tell you a lot about project’s legitimacy. Focus on the clear explanation of how the funds will be spent. Funds are usually spent gradually following a certain plan which will lead to a final platform. 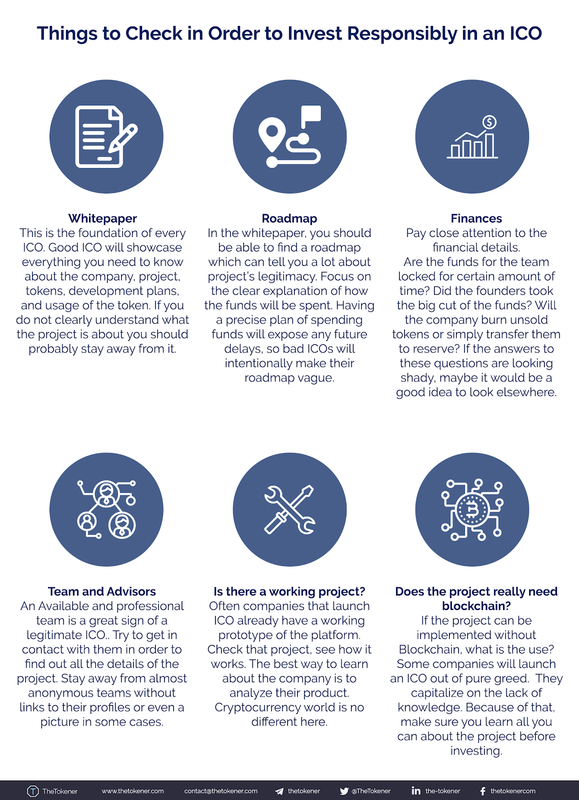 Having a precise plan of spending funds will expose any future delays, so bad ICOs will intentionally make their roadmap vague. Pay close attention to the financial details. If the answers to these questions are looking shady, maybe it would be a good idea to look elsewhere. An available and professional team is a great sign of a legitimate ICO. Check other projects of the team members in order to find out about their credibility. Try to get in contact with them in order to find out all the details of the project. Stay away from almost anonymous teams without links to their profiles or even a picture in some cases. Trust is one of the key assets you can have as an investor so make sure to make the best use of it. • Is there a working project? Often companies that launch ICO already have a working prototype of the platform. Check that project, see how it works. The best way to learn about the company is to analyze their product. Cryptocurrency world is no different here. • Does the project really need blockchain? If the project can be implemented without Blockchain, what is the use? Some companies will launch an ICO out of pure greed. Be aware of that. They capitalize on the lack of knowledge. Because of that, make sure you learn all you can about the project before investing. 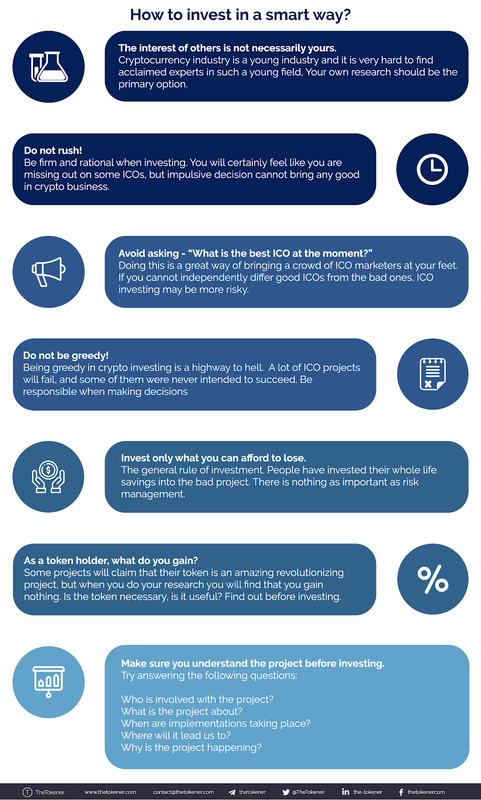 If you closely follow these rules you should do okay on your journey to ICO investment land. Cryptocurrency market is yet expected to reach its peak, so it is never late to start. A lot of people made their dreams come true with crypto investing because they took it seriously. We hope you will find this guide helpful and wish you the best of luck in your future investment endeavors! If you have any questions, do not hesitate to send us a message. Thanks for reading!